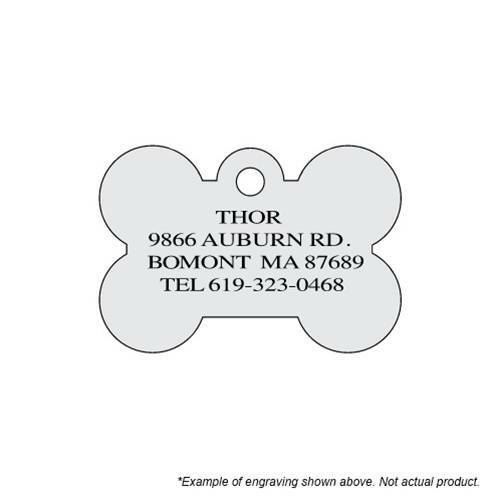 Show support of your favorite team and keep track of your pet with this officially licensed NBA pet ID tag with FREE ENGRAVING. 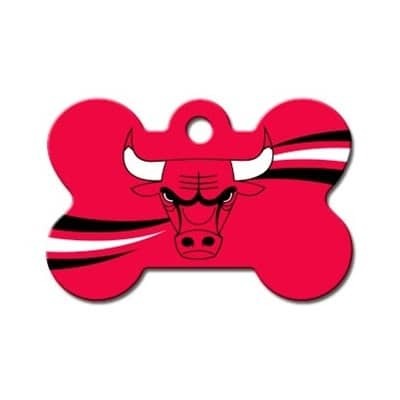 Each tag is made of anodized aluminum, measuring 1 1/2" x 1", and painted with the Chicago Bulls team logo. A split ring connector is included with each purchase. If frequent, easy collar changes are desired, consider the lobster claw styled connectors (sold separately).